Whatever Happened to the BIG FLOUNCE? Peter's Best and Worst of 2012! Gracious me, is it that time already? Friends, 2012 is already something of a blur, but going back through the archives, I do recall a great deal of it, especially since November. If I've forgotten anything key, please remind me. 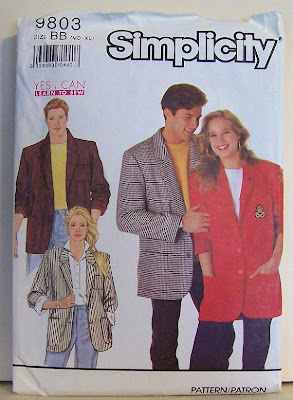 The Oversized Eighties Jacket -- YEA or NAY? Friends, if there's one thing I learned living through the Eighties, it's that oversized clothing does not flatter undersized people. The Eighties was a bad decade for me style-wise and perhaps for you too. Labels: 80s glamour, YEA or NAY? The balder older I get, the more I like hats. Seriously, I do think hats are great. Not only do they keep your head warm in winter and cool in summer, they can give an ordinary face a little something extra and they can certainly pull together an outfit. I have never made a hat myself (a few makeshift turbans notwithstanding) but I've come close. Remember when I planned to make myself a bucket hat? For various reasons, that never happened. We made it through the holidays, readers! Most of them, anyway. I have so many exciting things to share with you, so let's get started. I couldn't be happier after days of overeating than to slip into my new Rago waist cincher. I was going to include an Amazon link, but I noticed that the price went up from approximately $25 to $38 in the week since I ordered it. Isn't that wack? I've noticed price shifts on Amazon before, but this is ridiculous. 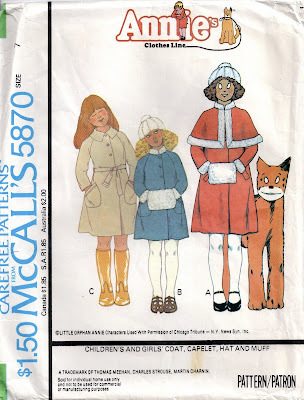 MPB KITSCH-mas Spectacular or "Name that Pattern - Holiday Edition!" Readers near and far, the holidays are finally here! There are two ways to celebrate Christmas (and all those other end-of-year winter holidays): straight, or with a twist of irony. Of course, many people would rather have just the twist, but irony doesn't work that way. Friends, so many of us will be traveling this holiday season, a great many by air. 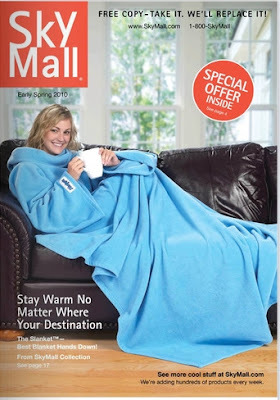 I'm sure most American MPB readers -- a sophisticated, nomadic bunch -- are familiar with Sky Mall. How many of us have flipped through the colorful Sky Mall catalog while taxiing on the runway, calming our nerves during a bit of turbulence over the Rockies, or distracting ourselves from the child vomiting across the aisle? Readers, I know what I want for Christmas: this jacket! 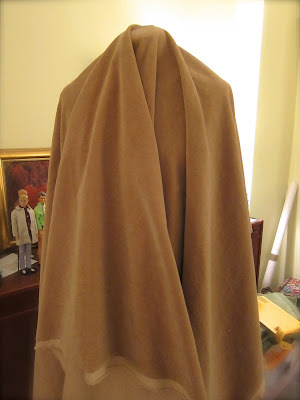 Good news, readers: I laundered the cotton velveteen I bought yesterday and it dried considerably softer and drapier -- gorgeous! When You Buy the Wrong Fabric, or "ARGH"
In life there are big problems and small problems. What I'm about to relate is admittedly a small problem, but it's still substantial enough to be blog-worthy. Or at least MPB-worthy. Today I bought the wrong fabric. The Finished Pendleton Plaid Shirt! Presenting Version 2.0 of my Pendleton plaid. I like it. I still have another day's work on this, readers, but I am liking this version of my Pendleton plaid shirt so much better. So three years ago I made this Western-style shirt. I used a vintage Seventies McCall's pattern and fabric I found locally for $2/yd. which turned out to be Pendleton wool. I was so proud of the result. I mean, I'd only been sewing for four months. 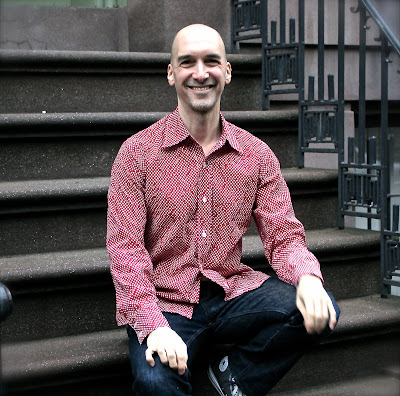 Readers, I've tweaked my polka-dot shirts once again. Oh, the Glamour! 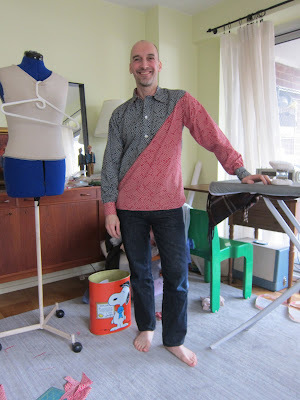 The Pattern Review Anniversary Party! As promised, readers, here are some photos from last night's star-studded, super-fun Pattern Review NYC anniversary bash at Elliott Berman. I met so many interesting people, the food was delicious, and I even won fabric! Color Block Shirt: New Slim Fit! Was that a collective groan I just heard? I know you're getting tired of looking at this shirt, friends, but think how I must feel: I had to sew the darn thing. Hallelujah, friends, my color block shirt is finished! Well, almost. I still have to hem the bottom and add buttons and buttonholes, but it will only have three of each, plus the cuffs of course. And a bit of pressing. But I couldn't wait to share it with you. 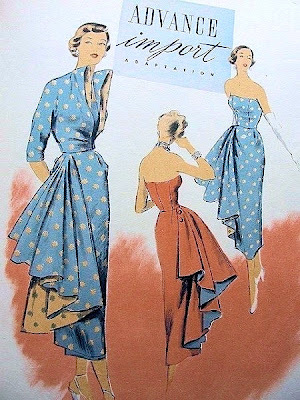 Color Block Headaches or "A Virtue of Necessity"
Good grief, readers, I had no idea color blocking was going to be so hard. Color Block Shirt Project: The Finalists! 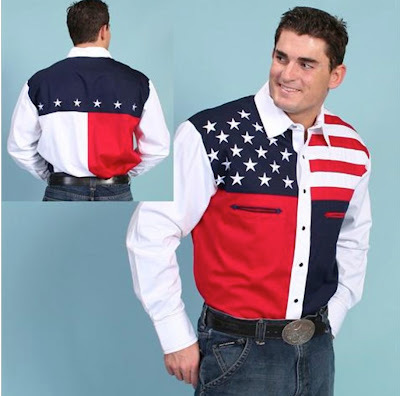 Friends, I am having difficulty making up my mind about how my color block shirt should look. I've made a few more sketches and found more color-block inspiration online. Readers, my first polka dot shirt is done! Readers, I was so deeply touched by your response to yesterday's patchwork post, but let's keep our hands to ourselves. 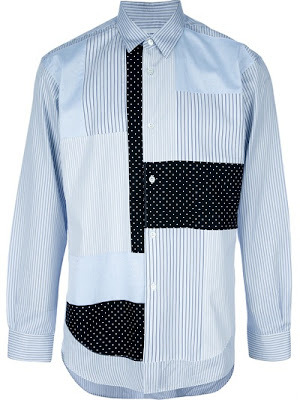 The Patchwork Shirt -- YEA or NAY? Friends, when it comes to clothes I actually wear on a regular basis, I'm pretty conventional. Sure, I'll tiptoe around the edges of avant-garde -- leopard pants here, flower power shirt cuffs there -- but usually with trepidation and not a little regret. I know what I'm comfortable in and it's generally the tired and true (whoops -- that should read tried and true, LOL!). Labels: mens shirt, YEA or NAY? Monday Fabric Shopping + Celebrity Sightings! What an exciting day I had today, readers! Michael Models His New Flannel Shirt! Readers, the shirt is done and Michael loves it. I think the color really suits him, don't you? It fits nicely and it's super soft and snuggly. Readers, I treadled so much yesterday that I'm afraid I've run out of steam, though a treadle doesn't run on steam and neither do I.